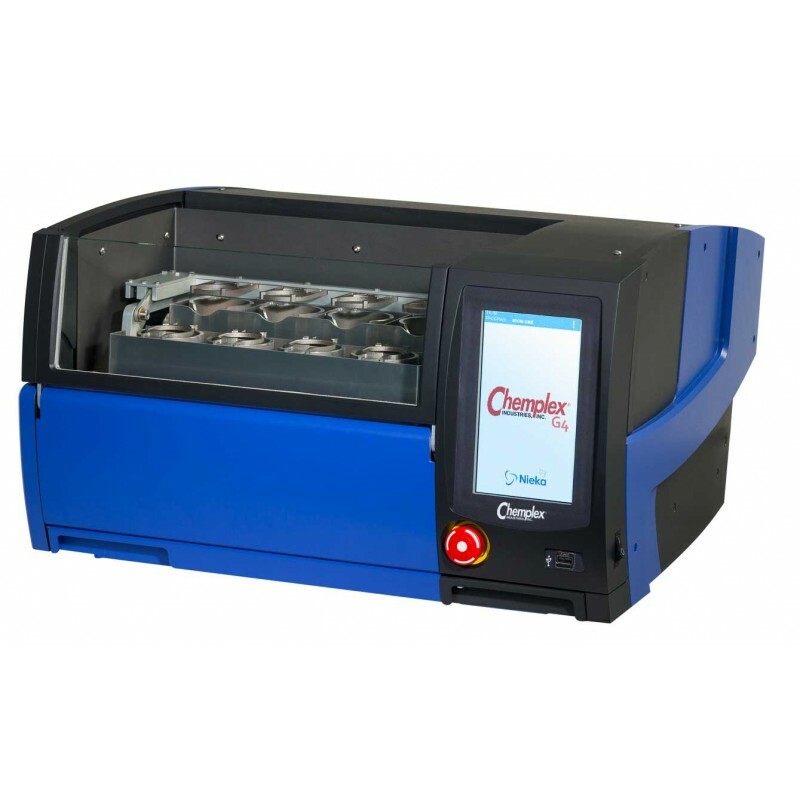 Fusion: G-Series Fluxer | Chemplex Industries, Inc.
Chemplex® Industries, Inc. offers the most innovative and technologically advanced automatic gas and electric fusion machines for XRF sample bead formations and dissolutions for ICP and AA analysis. 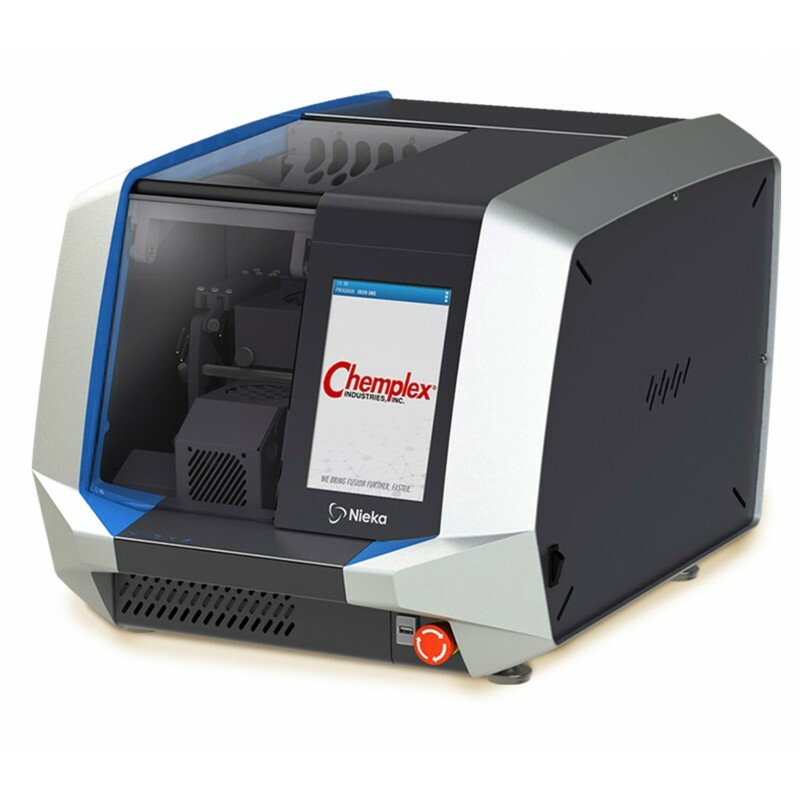 The Chemplex® Fluxers are a state-of-the-art fluxer that offers reliable temperature monitoring of the fusion process along with fully programmable features to give you perfect fusion. It is simple to operate all through an LCD touch-screen with access to all parameters. They perform an auto-calibration at startup to eliminate any drifting conditions. There is on-board storage as well as a USB port for recipe storage. The small, compact design occupies the very least amount of valuable bench-top surface. The installation is simple, The G-Series require a standard electrical outlet, 115-240VA 50/60HZ and either a low pressure propane or natural gas source, less than 0.5PSI. The G-Series warms up fast and is ideal for those high throughput labs. The E-Series operates from a 208-240VAC 50/60Hz mains voltage. The G-Series requires alow-pressure gas line and a standard electrical outlet are required. The G-Series runs on propane, any other liquid petroleum gas (LPG) or natural gas. No compressed air or oxygen is required. The G-Series fluxers are available with either 4 or 8 position. 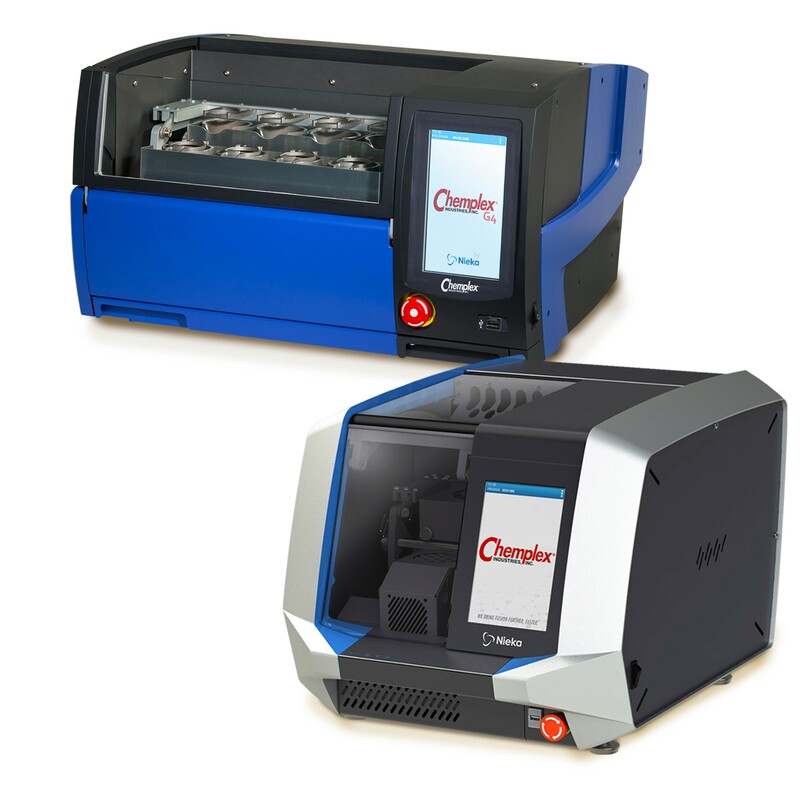 They can be configured to make only glass beads (specify bead size), solutions, or both. Propane/ LPG (37mbar - 0.5psi) or Natural Gas (20mbar - 0.3 psi) line.